What's Bitcoin and should I invest? Everyone's talking about the phenomenon of Bitcoin, but what exactly is it and should you be interested? Bitcoin is a digital currency, produced by a process called ‘mining' - this involves a network of advanced computer systems, each trying to figure out a complex mathematical algorithm. 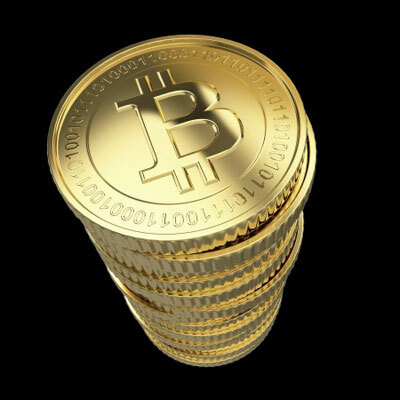 Because this requires large amounts of computing power and becomes more difficult as time goes on, the resulting Bitcoins are seen by some as valuable. Since Bitcoin first launched in 2009, at least 60 other digital and "crypto" currencies have appeared, including Litecoin and Coinye. Just like Paypal, these currencies can be transferred to other people, or used to pay for items from a small number of companies on the web. Instead of sending it using an email address, though, each user has a Bitcoin address and a secret password that proves who owns the currency - to transfer, you need to send your Bitcoins to a specific address, and hand over the password. Most people are attracted to Bitcoin by one thing: privacy. Owners of Bitcoin aren't registered, and unlike when using a bank, transactions can't be traced. This has led to a number of online Bitcoin blackmarkets, selling everything from drugs to weapons. The currency has even been linked to a bizarre Assassination Market, and a few sites have already been closed down by the FBI. When Bitcoin first appeared, the currency was almost worthless. Within 18 months it had grown in value by 1,000%, climbing to $266 per unit around two years later. In November last year they hit a high of over $1,250, and today the total market is valued at over $11billion. This may make Bitcoin sound like the perfect investment, but there are a few issues to think about. Even if you're a bit of a gambler, there's still the question of safety. Bitcoin, as with other digital currencies, has almost no consumer protection measures - this means that, unlike a credit card, you can't call Visa and tell them to cancel your Bitcoin account because it has been lost or stolen. James Howells found this out the hard way when he threw away his computer, forgetting he had 7,500 Bitcoins on his hard-drive - these were worth £4.6million at the time. Add to that the threat of hackers, who last year stole £1million worth of Bitcoins from a processing website, and the attractiveness of the currency starts to fade. Right now, there are better ways to invest than digitally saving your money on your computer or device. The proper regulations just aren't in place for Bitcoin or any other digital currency to be worth the risk, and the wild fluctuations mean that a 1,000% rise one day could see an equally huge fall the next. As with any investment, the key is plenty of research and seeking as much advice as possible before parting with your hard-earned cash. If you've taken the plunge and invested in Bitcoin, let us know how it's going by getting in touch on Twitter or Facebook. To keep track of your money and get a true view of your finances, sign up for our free Money Dashboard budgeting software, and use it to plan your financial future.